Watching movies is not how it used to be when people enjoyed this form of entertainment 50 years ago. From drive-ins and movie theaters to watching movies from the comfort of their own homes with the help of a VCR, people have thoroughly enjoyed having more than one way to view new releases and the classics. As technology has increased, people have been introduced to a new way to watch many things that doesn’t even require them to leave their home. For families with younger children, they may have mounted a search for a place to watch certain family-friendly films, such as The Lego Movie, online but have yet to find a website where it may be streaming. The Lego Movie, which was released in 2014, has an all-star cast that features many talented actors including Morgan Freeman, Will Ferrell, Elizabeth Banks, Chris Pratt and many more. In this animated comedy, viewers are introduced to a Lego construction worker who suddenly finds himself in a stressful, but comical situation when he has to save the Lego universe from an evil tyrant. Families looking to watch this film, but who don’t want to leave the comfort of their own home actually have several viewing options for this recent release. The Lego Movie is available for purchase on DVD and can possibly be rented on pay-per-view or at Redbox, but it can also be streamed online, which for most is a more convenient way to view films and television shows. 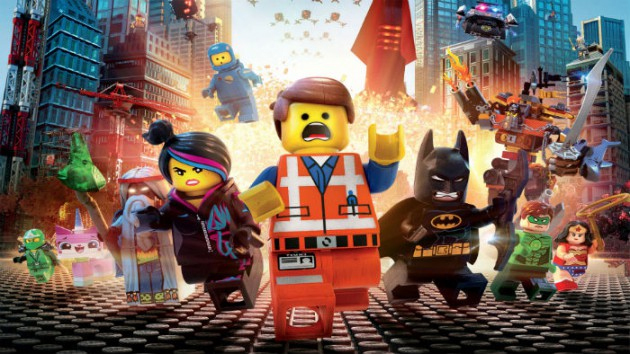 Here are five places for you to watch The Lego Movie online. This website allows viewers to watch movies free of charge. Google Play charges viewers to rent or purchase films. The fee to purchase this film is $9.99. Vudu charges viewers to rent or purchase films. The fee to purchase this film is $9.99. Amazon charges viewers to rent or purchase films. The fee to purchase this film is $9.99. Streaming movies online has many benefits, which is why people opt to view movies this way over the other available choices. It is quick and easy and users are often able to find movies for free or for a decent, affordable price. There is also the added benefit of being able to watch pretty much whatever you want, whenever you want, which is perfect for families who may choose to enjoy a movie at any time of day. It is convenient for movie nights that are scheduled as well. After watching the Lego Movie and finding it to their liking, families may be excited to find out that there is a sequel scheduled to come out in May 2018. It is a long time to wait, but once it does hit theaters, there will be another exciting film available to for many to enjoy as a family. Until then, the above mentioned websites can be used to view many more family-friendly films.